I was born in a country of immigrants. During the first half of the 20th century, when Europe was suffering from wars, dictatorships and economic crises, Argentina was welcoming migrants and giving them residence permits upon arrival at the port of Buenos Aires. Easy as that! My paternal grandfather was Polish. 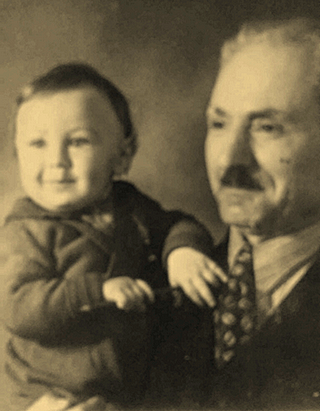 He was also Jewish, and managed to escape Poland at the start of the Second World War thanks to teachers at his school — teachers who knew the authorities were coming and so quickly took their students away for an ‘excursion’. A teenager by then, he was one of my luckier Polish relatives; many more failed to escape, dying in the concentration camps. Years later, a cousin of my father went to Israel and met a woman who had escaped together with my grandfather that day. This woman told my father’s cousin that my grandfather was her first love, and that she never managed to forget him. Once settled in Buenos Aires, my grandfather set up a printing house and married my grandmother, who was a daughter of Spanish miners. By that time, Spain was suffering the consequences of the Civil War and many people had moved either to northern Europe or South America to escape hunger and starvation. I was only 2 years old when my grandfather died from Alzheimer’s. Although he never spoke Polish to anyone in Argentina, in his last days he could only speak his mother tongue, and nobody (including my father) could understand him. It’s curious how strong our roots can be and how we never forget where we come from, even if we try. From my mother’s side, I have Italian and German ancestors. My maternal grandparents were second or third generation migrants, which means my great grand-grandparents arrived in Argentina around the end of the 19th century or early 20th century. I was born in 1988, in the middle of one of many financial crises. My parents once confessed to buying hundreds of diapers at a time because everyday prices were skyrocketing with hyperinflation. In 2002, when I was a teenager, the worst financial crisis hit my country and suddenly hundreds of thousands of Argentinians lost their savings and started emigrating to Spain or the United States. I was part of this group, and in January 2003 I took a flight to Spain. The country that was sending migrants 50 years before had become one of the most developed countries in the world and was experiencing high levels of immigration as a result of an economic boom (mainly a construction boom). I finished my high school in Vigo (Galicia) and went to university in Madrid. But, when it was time to look for a job – guess what? Another economic crisis! This time it was one of the worst European financial crises in history, and suddenly my new country (of which I had become a citizen) had one of the highest youth unemployment rates in the world. It was now my turn to pack my suitcases and take a one-way flight. Of course things were much easier for me than for my ancestors, as I only had to go online and buy a flight with Ryanair. I arrived in Maastricht in September 2011. Maastricht has become my new home, and I am very happy here. I am now pursuing a PhD and who knows what my next destination will be. When people ask me where I am from, it is difficult to give a straightforward answer. My heart will always be Argentinian (especially when it comes to football, where I cannot control my emotions), but Spain and now the Netherlands have given me great opportunities, a good education, and amazing friends. Being a migrant is not easy though, and my parents still wonder whether they made the right decision to leave Buenos Aires. The only thing I know is that I can only thank my great-grandparents, grandparents, and parents for having had the courage to take a boat or a plane in search of – and in the hopes of – a better life. Please send us a tweet and/or post a comment on our Facebook site. Jennifer Waidler is a PhD fellow at UNU-MERIT. 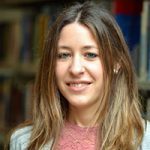 She holds a Master in Public Policy from Maastricht University and a degree in Business Administration from the University Carlos III de Madrid. Since September 2012, she has been working as a researcher at UNU-MERIT on a variety of projects in the field of migration and social protection.